There have been rumored specifications of this phone lately. Though the rumored specs has been confirmed true. The Chinese OEM has officially announced the Vivo V5 Plus, which comes with a dual selfie camera of which one is 20 MP and the other is 8 MP. Both combine to give more depth and bokeh effects. At the back is a 16 MP camera. The phone has a metallic iPhone-esque design. Have a look at the full specifications below. 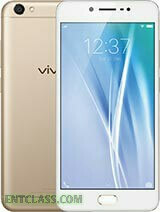 Vivo V5 Plus official specifications, features, review, price in India, China, Ghana, Nigeria, Kenya, Germany. Vivo V5 Plus selfie smartphone. Vivo V5 Plus 4GB RAM.